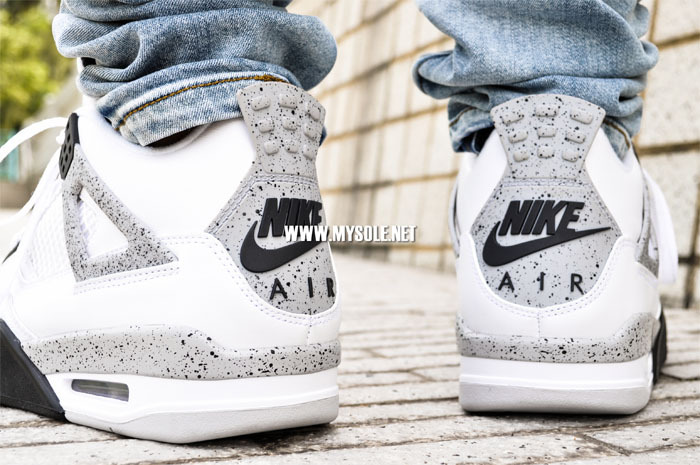 The return of "Nike Air" branding has taken the popularity of the Air Jordan 1 and Air Jordan 3 to new heights. 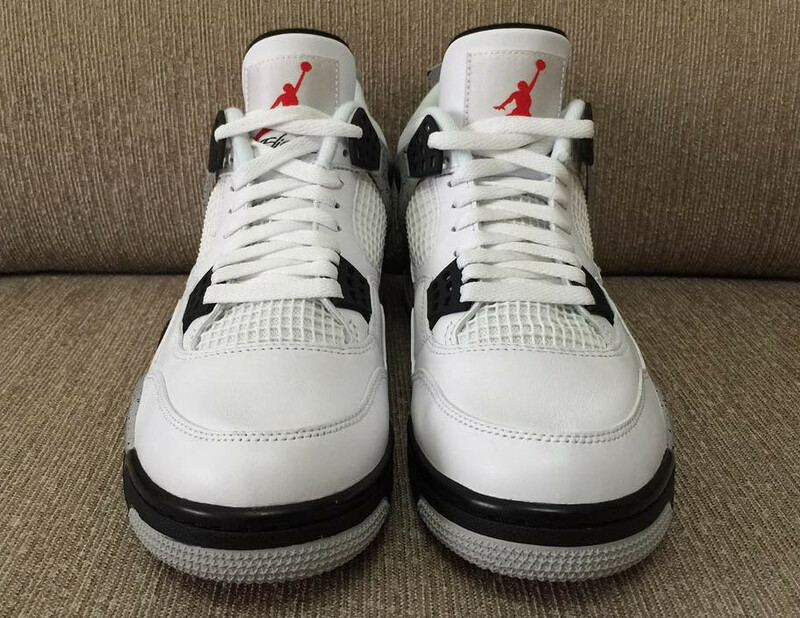 While it's been fairly regular on the 1 for the past two years, it was a one-off on the Air Jordan 3 '88, which released in February 2013 as a tribute to Michael Jordan's famous free-throw line dunk. 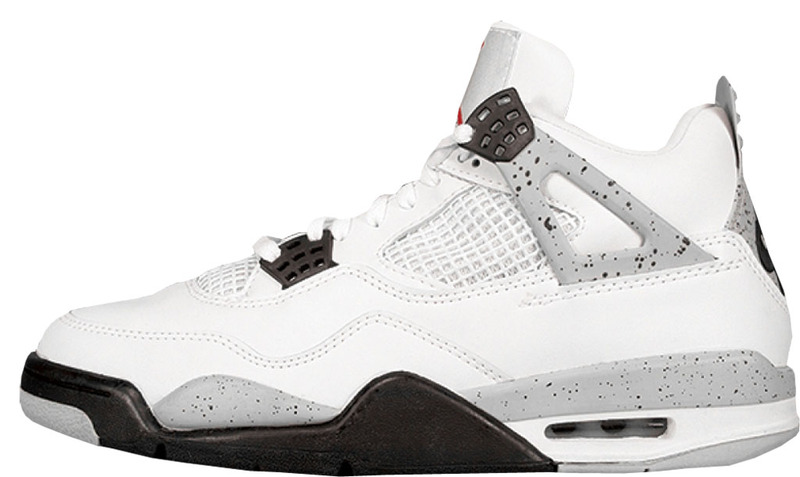 It's remained absent from several other classic Jordan models, but rumors suggest that will change next year. 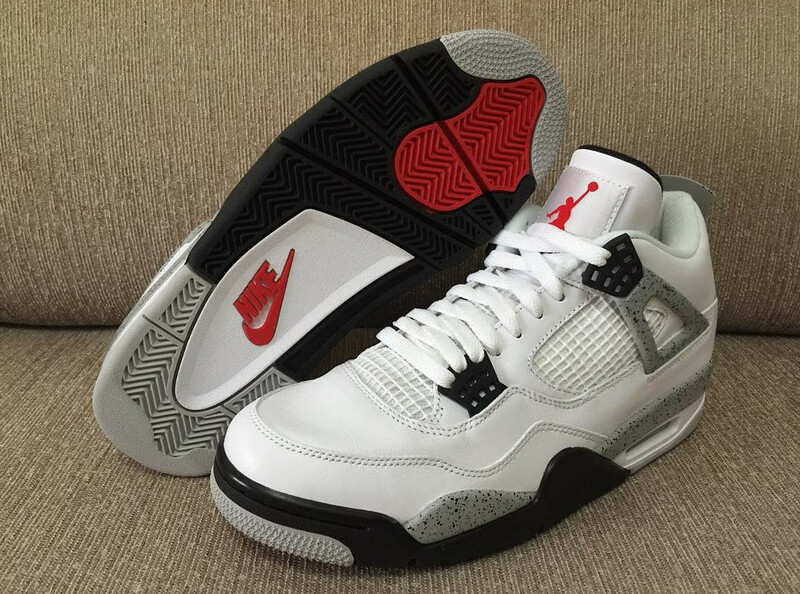 The Air Jordan 4 Retro '89, complete with Nike Air branding, will release on Feb. 13 in 2016. 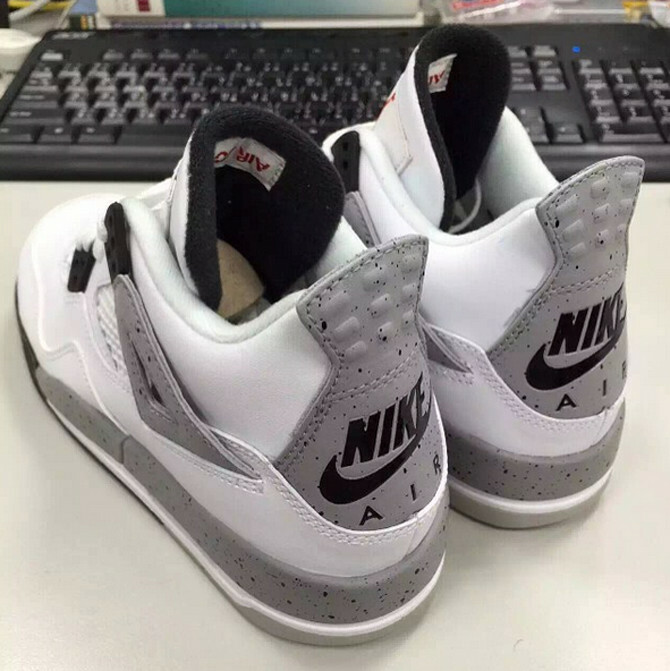 This will mark the first 'Nike Air' branded Air Jordan 4 release since 1999, when then it's been replaced by the Jumpman. 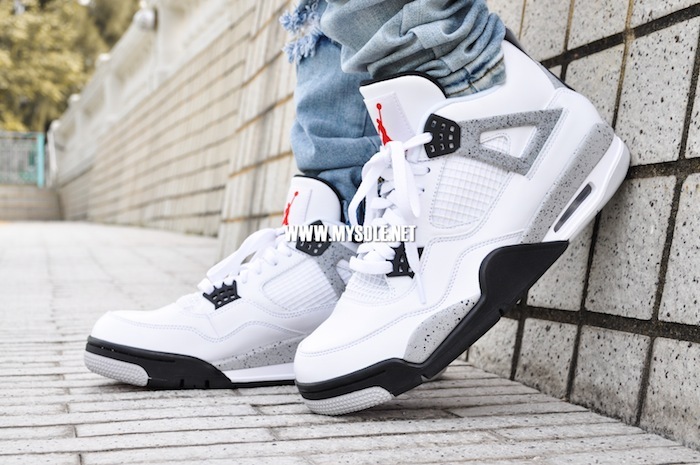 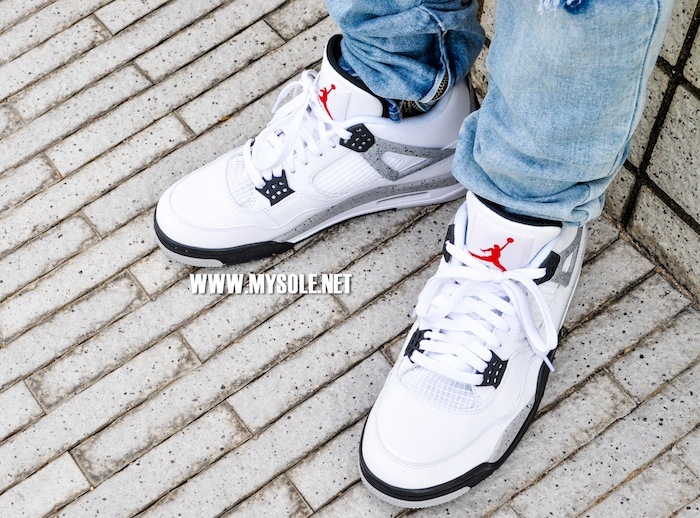 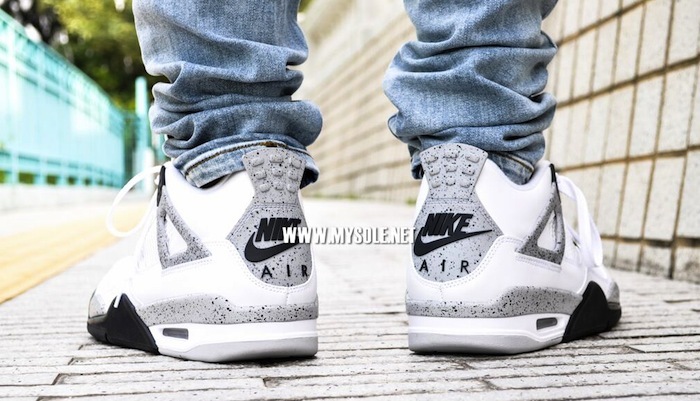 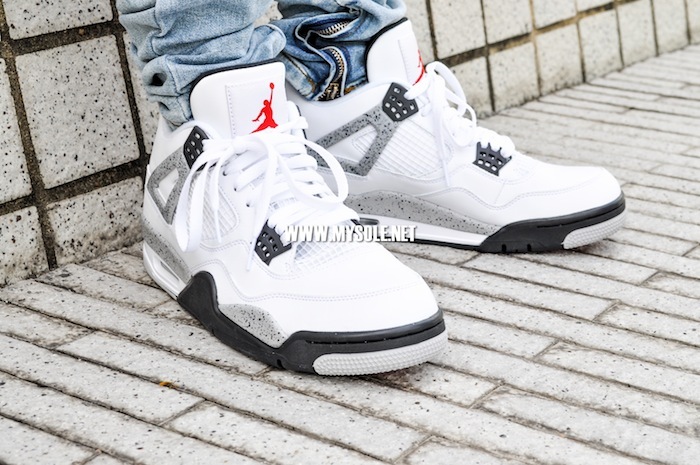 UPDATE 1/29: Detailed images of the "Nike Air" Jordan 4 in white/cement here. 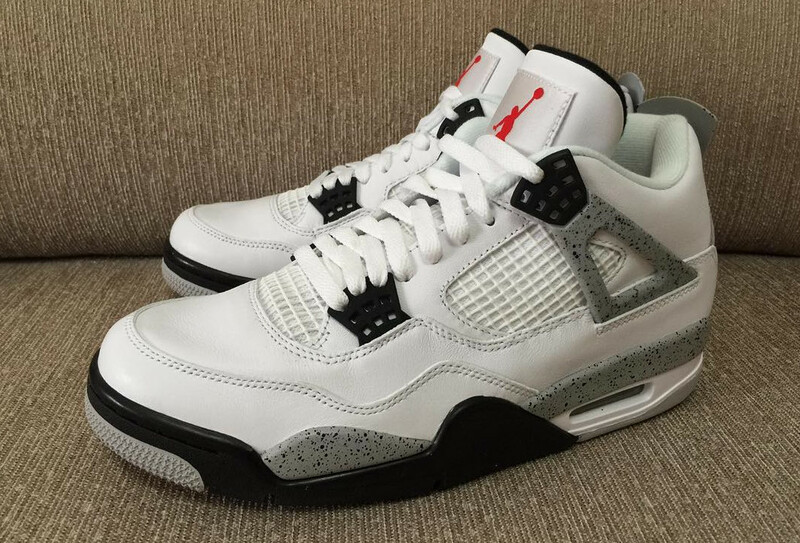 UPDATE 11/10: A new set of angles on the 2016 "Nike Air" Jordan 4s in white/cement. 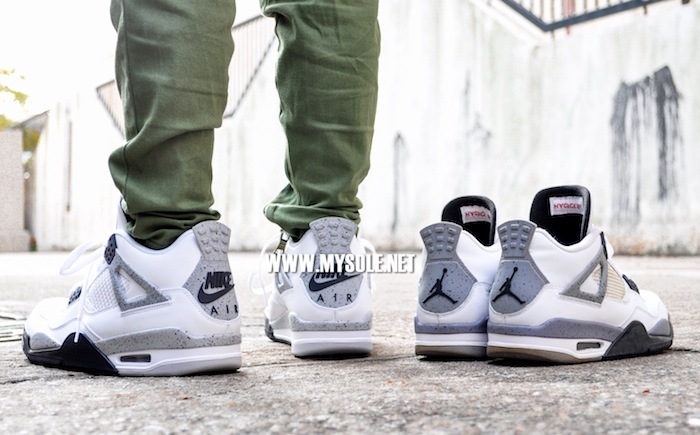 UPDATE 10/18: New on-foot image via My Sole. 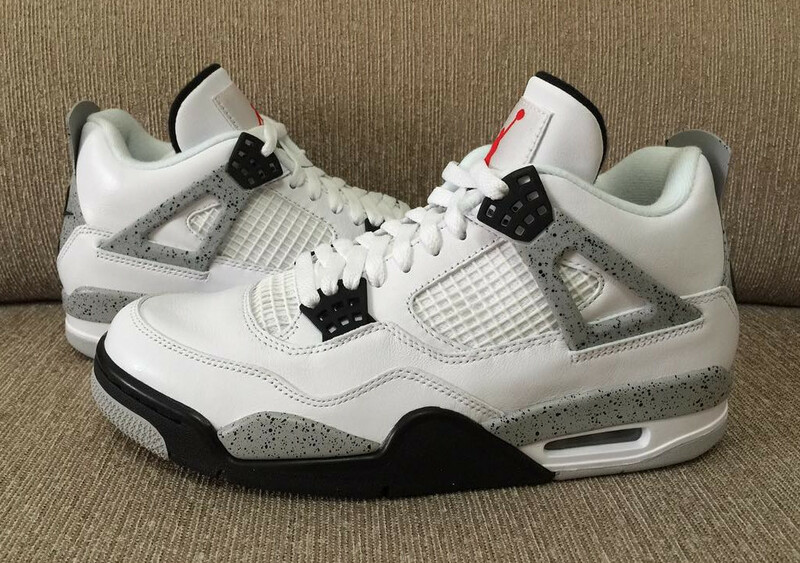 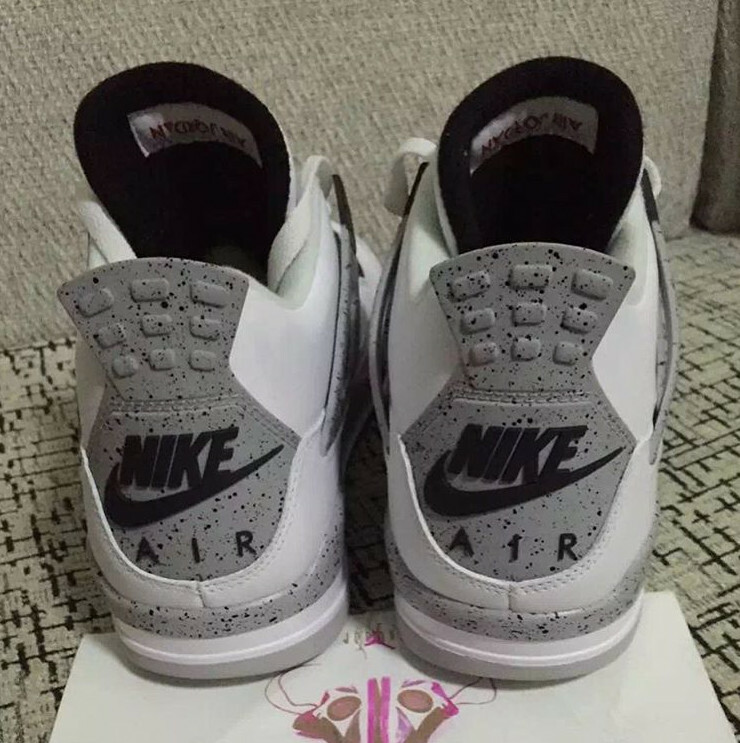 UPDATE 10/15: An early look at the adult sizes of the 2016 "Nike Air" Jordan 4 in white/cement. 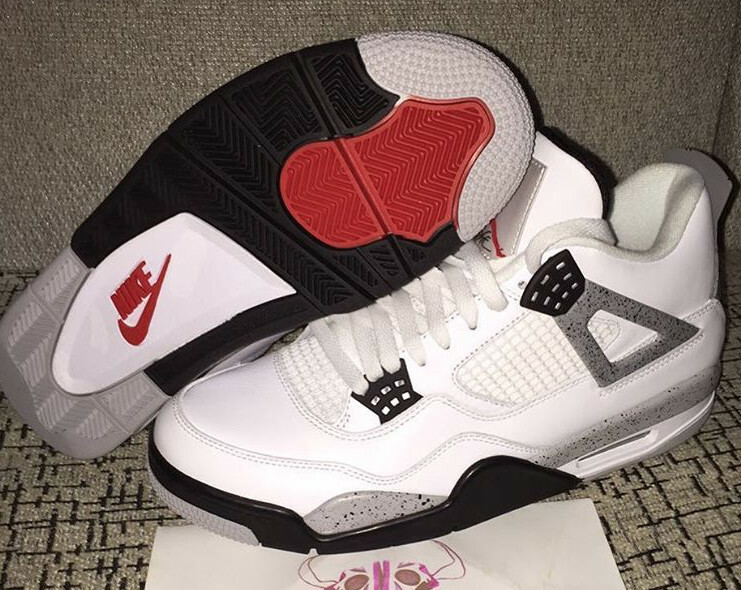 UPDATE 8/14: A first look at the 2016 "Nike Air" Jordan 4 in GS sizing. 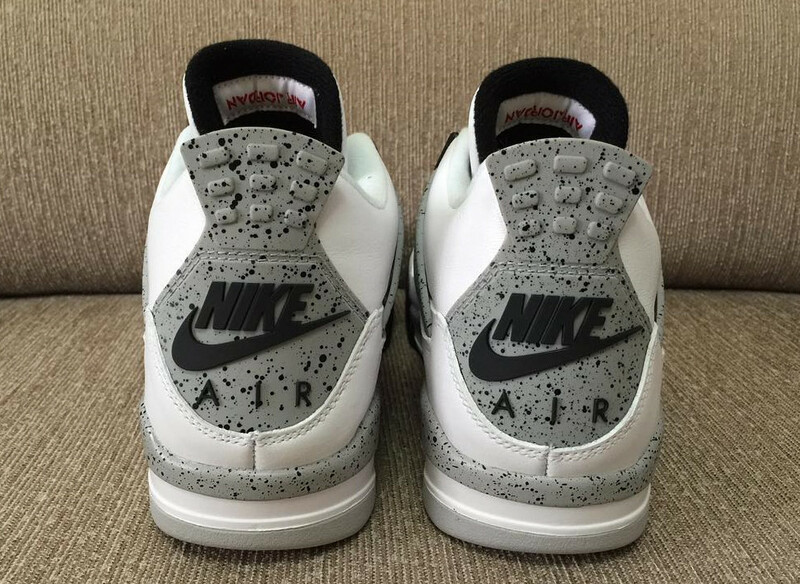 UPDATE 6/25: Sole Collector can confirm that a "White/Cement" Air Jordan 4 with Nike Air branding will release in February, 2016. 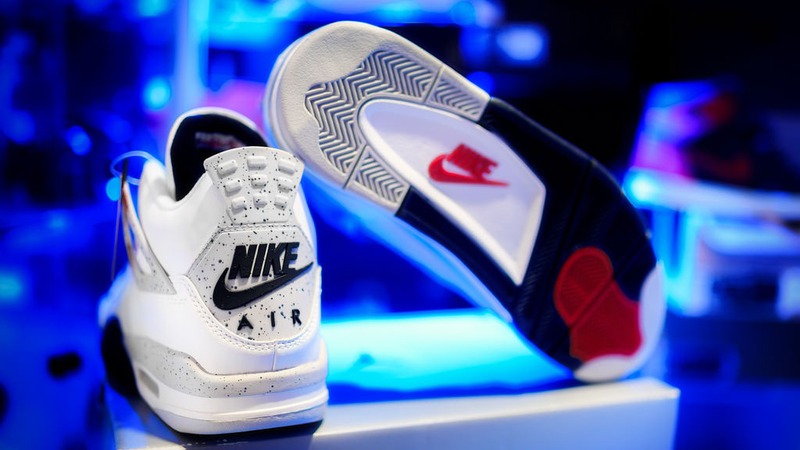 The sneakers will be less limited than the Air Jordan 3 '88 retro with Nike Air branding from 2013, but will be a limited release nonetheless. 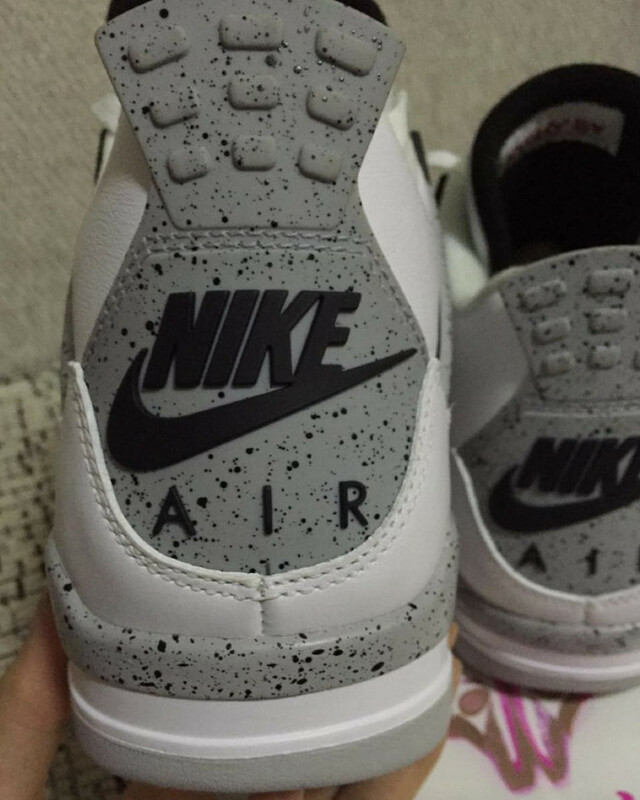 Expect the "White/Cement" Air Jordan 4 with Nike Air branding to be in the $220-$250 price range. 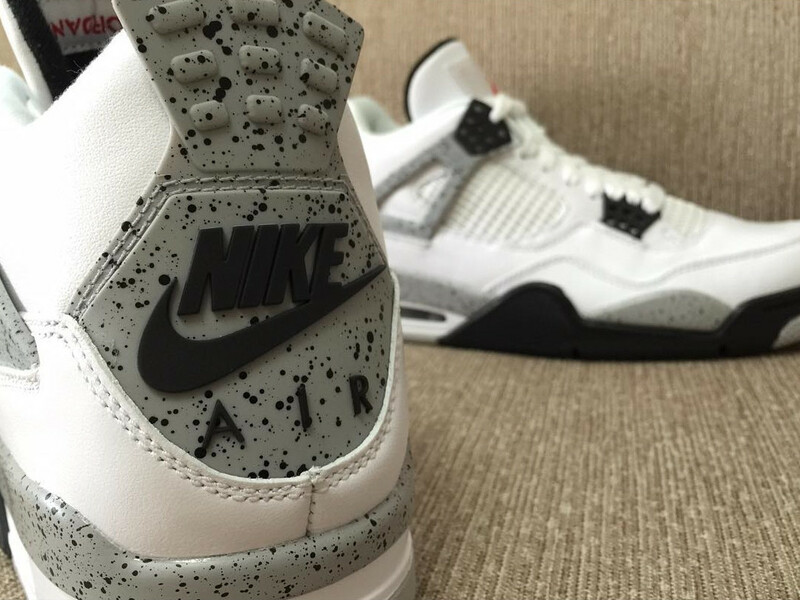 Note that the above image is of the 1999 "White/Cement" Jordan 4.